WALLY PRODUCES 1966 BATMAN MUSEUM EXHIBIT! ARKHAM KNIGHT RIDDLER FIGURE AVAILABLE SOON! After enjoying a 37 year friendship with his childhood idol Adam West, Wally was devastated to hear of Adam’s passing on June 9, 2017. Read about Wally’s history with the television icon here and remember, dreams really do come true. On November 4, 2016 Wally and his friends were shocked by news of the passing of their friend Fred Westbrook. Read Wally’s touching tribute to his friend. MEET ANIMAL… NEW IN PLANET WALLYWOOD! Here’s a look at my new Animal replica Muppet. He’s the greatest! Created from the original Henson patterns, to the original Henson specs! Fully workable! He’s gorgeous!! I totally dig his scene! For the 50th anniversary of “Dark Shadows,” Wally wrote a blurb for “The Collinsport Historical Society” about his love of the groundbreaking gothic soap. ARKHAM UNDERWORLD IS RIDDLED WITH FUN! MEET KERMIT… NEW IN PLANET WALLYWOOD! You’ll be “green” with envy! Kermit the Frog lands in Planet Wallywood! A 1:1 working replica of the original Kermit the Frog Muppet was commissioned as an addition to Wally’s ever-growing collection. Allegedly made from the original patterns and fabrics of the original Kermit, this piece is nothing less than stunning. On Thanksgiving Wally unveiled his latest life-size figure in Planet Wallywood…Mr. Spock! Read the full story on this figure’s creation here! This past Halloween, Wally undertook an intense process to create the ultimate Michael Myers mask from the movie “Halloween.” Click here to check out the full story in this 50 image slideshow about how he and a few industry pro friends turned something small and unusable, into something big and “Boo”-tiful! SIDESHOW TOYS FEATURES PLANET WALLYWOOD! Wally’s collection in Planet Wallywood was featured on the Sideshow Toys website! After receiving the honor of being inducted into one of his former high school’s Hall of Fame, two more distinguished honors have come down Wally’s path. Wally took his sophomore and junior years at Aberdeen Central High in Aberdeen, South Dakota in 1976 through 1978. He was inducted into the Aberdeen Central Hall of Fame in an induction ceremony in early October. Now word has come down that Wally is being inducted into the Washington High School Hall of Distinction in Sioux Falls, South Dakota. A job transfer in Wally’s family occurred in 1978 made it necessary for him to leave Aberdeen and take his senior year at Washington High in Sioux Falls from 1978 to 1979. In April of 2015, Wally was inducted into the South Dakota Rock and Roll Hall of Fame for his years of work as a radio DJ, and helping to promote rock and roll all over South Dakota. Wally unveiled his four new “Wizard of Oz” busts in Planet Wallywood. Wally sits in with his good friends Matt Weinhold (with whom he worked on “Super Adventure Team” and “Throut and Neck”), Larry Strothe, James Gonis and Shawn Sheridan to talk about horror franchise in the TV world! It’s a little over an hour and a laugh-a-minute. But beware, some of the language and content are of an adult nature. Enjoy! Wally got a custom-made action figure with his face on it from http://www.myfaceonafigure.com/, and you can too! Check out their cool website and get a figure made of YOU too! Take a mini-tour of Planet Wallywood through these 7 new videos! It’s like being there! 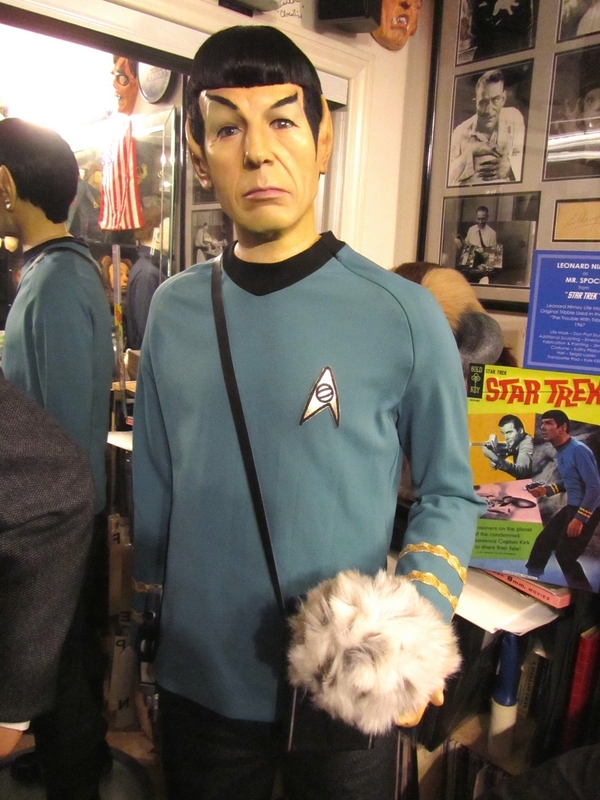 Explore Wally’s collection of rare objects, unusual art pieces, sculptures, Hollywood memorabilia, autographs and artifacts!